Janet thought she was a resilient nurse. For the past 28 years of her nursing career, she went to work, took the best care of her patients, and read everything she could to learn more about nursing practice. Yet, over time she started to feel dissatisfied with her job. She was tired a lot. At work, she felt isolated. Like she no longer fit in. Feeling overwhelmed by the new electronic medical record, Janet feared she might make a serious mistake. Even though she loved being a nurse, she was afraid that she no longer enjoyed nursing. Nurse leaders want resilient nurses. They want a nursing staff that can cope with the stressors of healthcare. Yet, nurses still struggle, feeling the overwhelm of their work environments. Today, we are going to cover strategies that you can implement in order to be resilient at work. I was hosting a conference call one day on the topic of work-life balance. The nurses and I went through the content and, as the call was coming to a close, one of the attendees asked if they could talk to me after it was over. Of course, I agreed. This nurse shared with me that after 37 years in nursing, it was time for him to retire. And even though this meant less time on his feet and more activities with family and friends, he revealed that he was terrified. This is a real problem. Nurses focus so hard on their nursing careers that they forget there is a life outside of work. And when the nursing job comes to an end it’s as if their entire identity is unknown. In order to stay resilient in nursing, you need to embrace work life balance. Find hobbies outside of work. Read non-nursing books. Talk to people and spend time with professionals who don’t work in healthcare. Nurses witness traumatic things at work. Make sure that your eyes and ears are given the opportunity to view and appreciate beauty. Nurse Janet had isolated herself. Feeling as though she had been a nurse for such a long time, she was afraid to admit when she did not know something at work. She was afraid to look stupid or have others laugh at her. So, instead of doing what a resilient nurse would do, she put her head down and continued to work without asking for help. In order to build resilience, you must ask for and receive support. If another nurse comes up to you during your shift and asks how you are doing, be honest. When the charge nurse comes up to you and asks if you need anything, tell him or her what it is that you need help with. Quit trying to be that super hero nurse who does it all. When you are able to receive help, you are more equipped to handle stressful situations that are bound to come your way. That response should be banned from the mouths of nurses. In fact, resilient nurses do not ever say things like the above. To build resilience in nursing, nurses need to go to the literature. Find the best evidence and use it in practice. And learn things both in and outside of nursing. Attend non-nursing workshops. Find mentors in environments outside of healthcare. Create personal and professional networks that support continued growth and development. Nurse bullying is a real issue these days. Nurses who are not resilient can be nasty to their colleagues. Their body language is cold. They are mean and may gossip or spread rumors. The non-resilient nurse does not play well with others. Nurses who embody resilience rise above these negative behaviors. While these unkind actions still may exist, the resilient nurse stands up for his or herself. She does not tolerate the incivility and speaks up for her colleagues. Resilient nurses not only take care of themselves, they have their nursing colleagues’ backs. Nurses who are resilient mentor each other. They provide supportive networks and places where their coworkers can talk, learn, and socialize. These types of nurses are a joy to work with and bring new graduate nurses into the profession with empathy and care. Nurse Janet kept things to herself. Since she didn’t ask for help, she never told her coworkers just how badly she was feeling. Janet laid awake at night, worrying about work and wondering why she no longer enjoyed nursing. There were feelings inside of her body, but that is where they stayed. And keeping those emotions locked up inside caused for additional problems down the road. To build resilience in nursing, nurses need to talk about their feelings. Not in a venting or complaining kind of way. But to process emotions and allow them to be brought to the surface. If a nurse needs counseling or professional help for the difficult situations they have experienced at work, that’s OK. Every nurse should feel safe seeking out help and talking to someone about their thoughts and feelings. Keeping emotions inside is no good. Those feelings bubble up and one day will cause the nurse to burst. That or an even more debilitating physical illness will manifest itself. Resilient nurses know that after the hardships they see at work, they need to talk it out. Let’s hear from you! 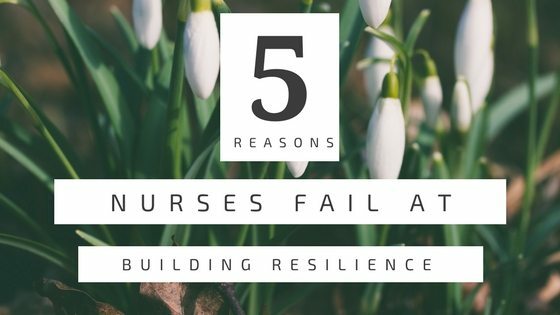 How do you build resilience in nursing? What is one thing that you have seen a resilient nurse do to support their nursing career? Share below and thanks for reading! This is a great post and one every nurse should read, especially new nurses. In the last three or so years that as changed. I ask for help and am open and appreciative to receive help. As a result it has made me a much happier more resilient nurse. 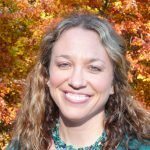 A couple other things that have helped build my resilience in nursing is self-care techniques not only while at home, but while working such as deep breathing, setting intentions with other nurses for a peaceful shift, using essential oils and eating healthy foods and drinking water. Also reading journals and articles from other industries outside of nursing. Great feedback, Cassandra. Glad to have the additional tips you use listed here, thank you. And so glad that you see the beneficial shifts from asking and receiving help. Thanks for sharing your experiences. Ironically, a very timely blog post, Elizabeth, in the wake of Hurricanes Irma and Harvey. Great tips. Do you have any extra tips for these extreme situations? Any thoughts on what the institutions that employ nurses responsiblities are to have nurses backs? Thanks for pointing out that these strategies work for self-care and also in other more extreme situations. I would image that taking care of ourselves outside of the extreme helps one cope when life throws curve balls our way. 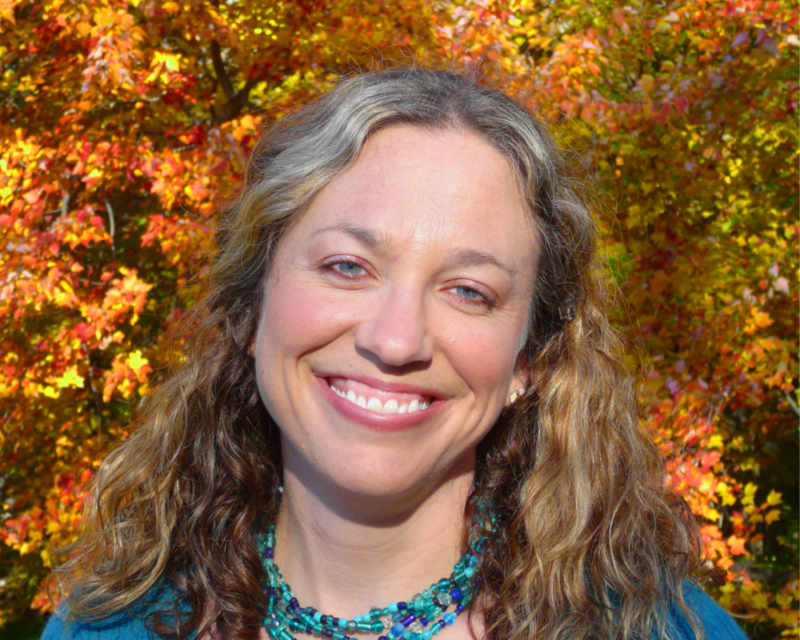 Elizabeth, this was a great review of the what behaviors can backfire on our own health and what we can do differently. Great post Elizabeth. I really resonated with not asking for help. I have come to realize that just as I enjoy helping others, I give others a gift by allowing them or asking to receive help. I am currently working as a resource and outcomes nurse in a home health setting. The teams who ask and give help, support each other and are a happier group to work with. Much gratitude, Padma. I am so glad that you enjoyed the post!